Marvelous Multiagers! : It's My Birthday!!! Yay for me! It's my birthday (at least for another hour)! I have nothing teachery to say today! So I had a great birthday. My boyfriend gave me these BEAUTIFUL flowers! So pretty!! He is not a flowers kind of person so this was a big surprise and it made me so so happy! And they smell wonderful. Today we went to visit the Peggy Notebaert Nature Museum. I feel like I live there since I have been there like 3 times in the past year... even though that isn't THAT often. Haha! He loved the extreme green house and the butterfly haven and the rooftop gardens. That place is the bomb dot com, and if you find yourself in Chicago, you should for sure check it out! 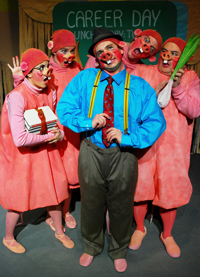 Afterward, we went to see the play version of Mo Willems's Naked Mole Rat Gets Dressed. It was very good! It's kind of amazing how they made a musical out of a 20 page picture book. They did a great job and the acting was lovely! We were definitely the only people there without a child companion but whatever! I'm a teacher, it's fine. :) If you haven't read the book, you defffffffinitely need to read it because Mo Willems is the bomb dot com! 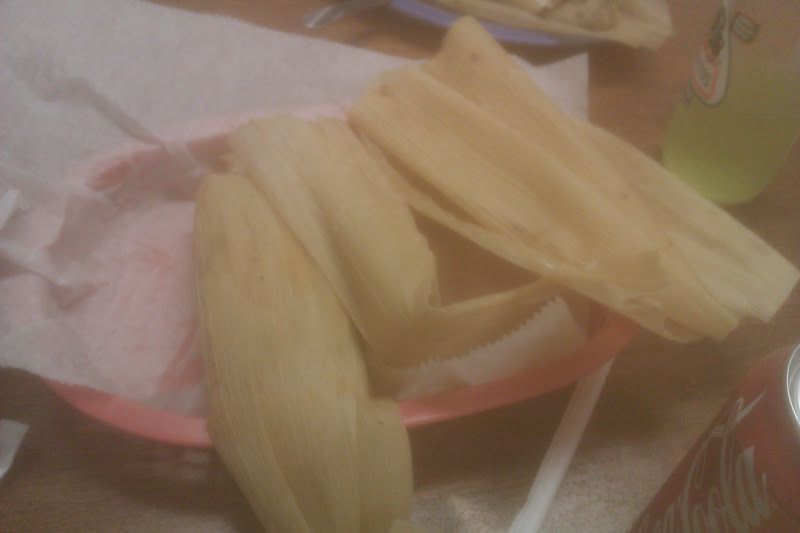 I also ate some delicious tamales at a little place I found on Yelp. I love you Yelp! Today I got an email from Donors Choose telling me that they were giving me $10 to donate to any project I want! This floored me. Donors Choose, you are just wonderful! Now I just need to decide who to give my $10 to!!! One last little thing! I mentioned the other day that my cousin came in and taught my class about bees. She took a little video of us reviewing the lesson, so if you want to see me in action for a few minutes, here's the video! The first 2:30 is my class filling out our bee tree map and then singing the Head, Thorax, Abdomen song! You can watch the rest of the video if you want but it is just my cousin's work and an art show... your choice, haha! Happy Birthday for one more hour! Happy birthday! It is still your birthday in California. Happy Birthday to you! Hope it was wonderful in every way! Happy late birthday!!! Sounds like you had a great day!